Trimmers have become an essential gadget for men. Whether you like a gentle stubble or full-grown beard, a good hair trimmer will help you achieve that. 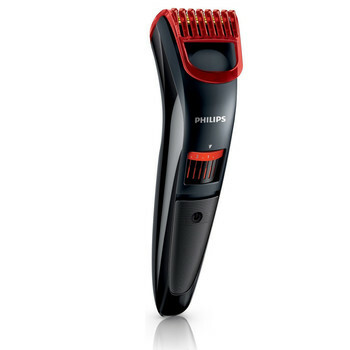 If you are looking to buy Philips trimmer online, then you are making the right choice. Philips makes one of the best shaving trimmers available in the market today. But, Philips makes many trimmers for men, and the choice for the perfect trimmer can be confusing. That is why we at everydaythings.in conducted thorough research and create a perfect trimmer review for you. It’s important to note that trimmer and shaver are different products. An electric shaver for men is a shaving machine which will help you get a completely clean shaven. A hair trimmer for men is technically not a shaving machine. It’s a trimming machine that will help you get a clean shave or a stubble look. Usually, hair trimmers will have variable settings which will help you define your beard the way you like. In our previous post, we discussed electric shavers for men. 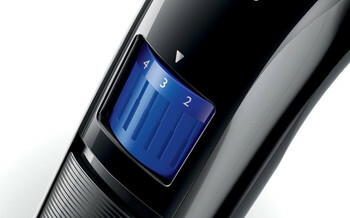 Primarily we discussed the Philips AquaTouch range of shavers. In today’s post, we will discuss trimmers. We will discuss their features and will decide which is the best trimmer for men. In every Philips trimmer, there are many technical specification and features. Some of these features are standard and don’t change with each model. Some features change with every model and are important to note before buying. 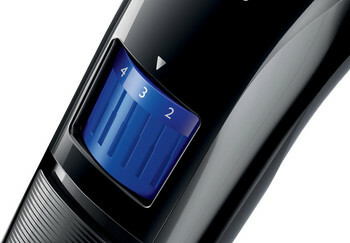 Of all the features discussed above, 2 features are standard in all Philips trimmers. 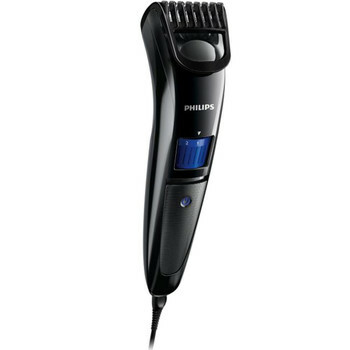 Every Philips trimmer supports universal voltages of 100-240V. That means you can charge your trimmers in any country in the world without worries. Each Philips trimmer comes with a 2-year standard warranty which can be extended for another year upon registration of the product online. As you may have guessed, the following features are different for every hair trimmer. We will discuss each of these features about every Philips trimmer in detail. As mentioned above, a trimmer will help you maintain a beard of the desired length. But it’s important to understand how. Most of the Philips trimmers discussed today have a comb attachment. 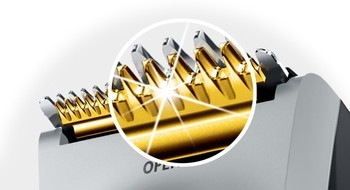 Without the comb, the blades of the trimmer will be exposed directly. 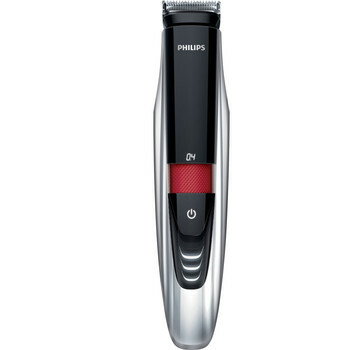 Getting a clean and maintained beard is actually a 2 step process using a Philips trimmer. In this step, you remove the comb of the Philips trimmer and use the blades directly on your skin. The blades are skin friendly, and you don’t have to worry about cutting or damaging your skin. The important thing here is that you will not trim your beard in this mode; you will only define it. Using the blades, you only have to shape the boundaries of your beard on your cheeks, neck and everywhere else. After you have defined the beard, it’s time for step 2. Now you should put the shaving comb back and select a length setting for your beard. 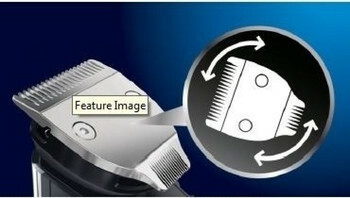 Different Philips trimmers will support different lengths. A shorter setting means a shorter beard while a longer setting means a longer beard. Select the desired length for your beard and then start the trimmer. Keeping these points in mind, use the Philips trimmer to trim your beard to the desired length. If you are in a hurry and want an easy comparison of all the features of each Philips trimmer, then check out the table below. Now, let us compare each of the hair trimmers one by one. 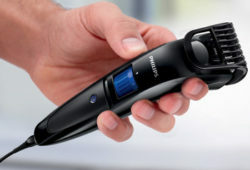 The Philips Pro Skin Advanced QT4005/15 trimmer is the highest selling entry level trimmer. The QT4005/15 is cordless trimmer operated by chargeable, internal batteries. This trimmer has stainless steel blades which are skin friendly. You get 20 different length settings with this trimmer which can range from .5 mm to up to 10mm. That means you can change length by a factor of .5 mm minimum. The QT4005/15 trimmer requires a charging time of 600 minutes and can operate effectively for 45 minutes after that. The charging adapter for this trimmer is universally compatible and supports voltages from 100V to 240V for charging. Currently, the QT4005/15 trimmer is available only in black color. But, a different colored model QT4006/15 is also available which comes in black and red color. Rest of the features are the same as the QT4005/15 trimmer. 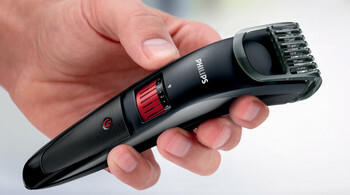 The Philips Pro Skin Advanced QT4011/15 Trimmer For Men is a slightly upgraded model of the QT4005/15 discussed above. The QT4011/15 is a cordless trimmer operated by internal, chargeable batteries. The blades of the QT4011/15 trimmer are made of stainless steel and coated with titanium for extremely long life. The QT4011/15 trimmer takes only 60 minutes to charge completely and you can use it for 90 minutes after a full charge. The LED light on the front is helpful in indicating when the trimmer is turned or being charged. The QT4011/15 trimmer supports 20 different beard trimming lengths starting from 0.5 mm to 10mm. The step size is 0.5 mm. The Philips Pro Skin Advanced QT4001/15 is an older version of the QT 4005/15 and QT4011/15 models with similar features. The QT4000/15 is a lower priced model as compared to the others as it has lower precision levels. 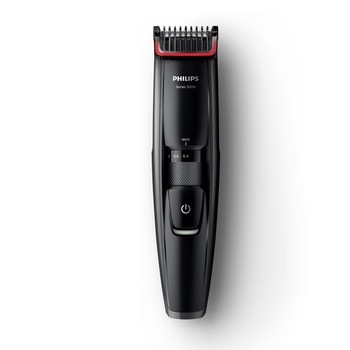 This trimmer supports precision of 1 mm stops instead of the usual 0.5 mm in other models. The rest of the features of the QT4001/15 are the same. For details see the feature summary below. The Philips BT3200/15 Beard Trimmer is corded beard trimmer for men. This trimmer is the low price (cheap) beard trimmer and is a great choice if you trim your beard at home and looking to buy a trimmer for the first time. This trimmer has pretty standard features like stubble comb, universal charging and beard length adjustment. The important thing to note about this trimmer that it offers length adjustments in increments of 1 mm, not 0.5 mm like other trimmers. 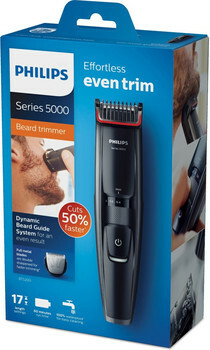 The Philips BT5200/15 trimmer is a premium range beard trimmer for men. 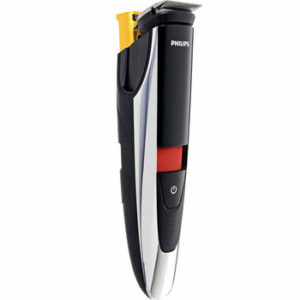 The price for Philips BT5200/15 is more than double of the other Philips trimmers discussed above, and there is a good reason for that. Apart from the great looks, the BT5200/15 trimmer offers double sharpened, rounded stainless steel blades that provide a clean a smooth beard trimming without cuts or scratches. The BT5200/15 trimmer can be used as a cordless trimmer or a corded trimmer. The BT5200/15 can be charged in just 60 minutes and then can be used for 60 minutes of trimming. The BT5200/15 is also 100% waterproof. You can use this trimmer in the shower as well. 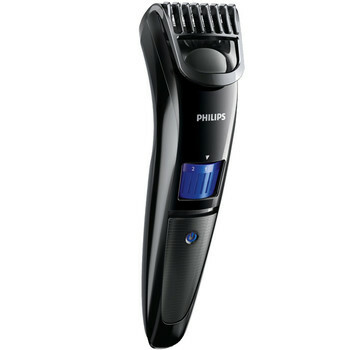 The Philips trimmer BT9280 is the most premium trimmer by Philips. 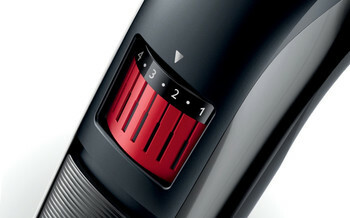 It is also the world’s first trimmer with laser-guided shaving. Yes, you read it right. The trimmer has a built-in laser to guide you so you can create the perfect definition for your beard. The BT9280 Philips Trimmer is also 100% waterproof. You can easily rinse the trimmer under water after use to clean it. 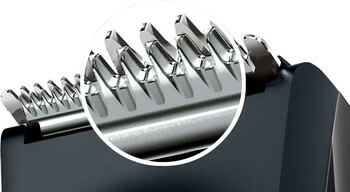 Another interesting feature about this Philips trimmer is that it features 2 blades. The big blade is useful when shaving with the comb to trim your beard. The small blade is used without the comb and is useful for defining your beard with precision. 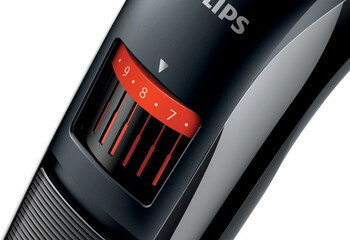 This Philips trimmer has 17 different precision settings which go from 0.4 mm to 7 mm. This gives you a great choice to manage your beard the way you want. You can charge the BT9280 in just 60 minutes and then use it for 60 minutes of beard trimming. We discussed a lot of Philips trimmers in this post, but we understand the choice can still be hard to make. 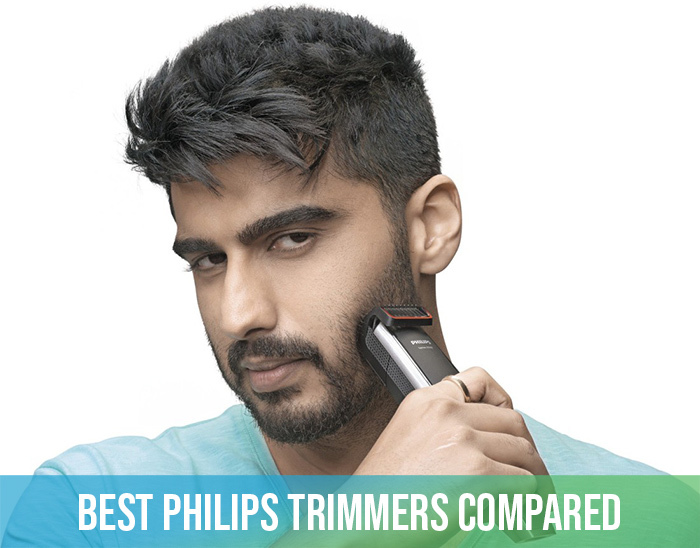 We hope that helped you decide which Philips trimmer is the best choice for you. If you still have doubts, confusions or questions, feel free to comment. We will try to answer your questions in detail. Amit, both the products you mentioned are good products. However, the 5000 series trimmer is only a beard trimmer while the grooming kit does 7 other functions apart from the beard trimmer. If you need full body grooming regularly, then it’s better to purchase the grooming kit. If not, only the beardtrimmer is fine. Regardless, both are great products from a great brand, so there is no question about the quality of both.